"I chose the University of Florida because it’s very prestigious...I couldn’t imagine going anywhere but UF for my bachelor’s degree. It’s just a great school." Reputation matters. Enhance your personal brand with a degree from a top-ranked and accredited institution so you can stand out among the outstanding. U.S. News & World Report ranked UF Online No. 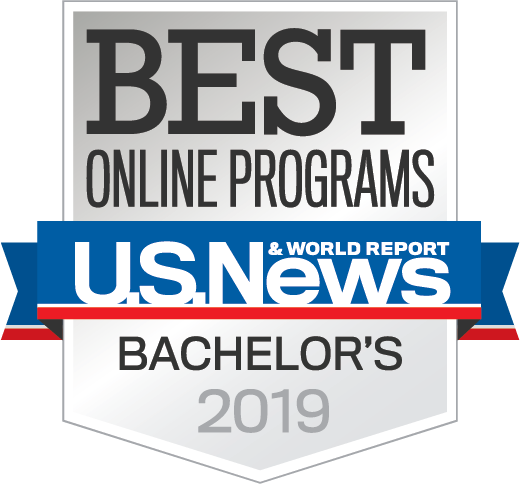 5 in 2019 among online programs and has ranked UF Online among the Top 20 since 2016. U.S. News also ranked UF Online No. 12 in 2017 for the best online bachelor’s programs for veterans. Business Insider also recognized UF Online, ranking the program No. 11 among best online undergraduate programs in 2016. Below are a few rankings for the University of Florida. In 2016, Forbes ranked UF second among public institutions and third overall for offering the best value. UF’s Warrington College of Business was also ranked a Top 20 program among public institutions by U.S. News and World Report in 2018. When it comes to sports rankings, UF is in the top spot as well. In 2016 Business Insider ranked UF as the most dominant program in college sports. Financial Aid – To be eligible for any federal financial aid program you must attend an accredited school or program. Transferring Credits and Graduate Education – Not only is accreditation important when it comes to transferring credits or pursuing graduate education, but the type of accreditation is important as well. UF and most other ranked institutions are regionally accredited. Generally speaking, regionally accredited schools only accept credits and degrees from other regionally accredited institutions, not nationally accredited institutions. Career Progression – Many employers take into consideration whether or not you earned your degree from an accredited institution. More importantly, credits or degrees for many professional licensures are required to be from accredited institutions. The University of Florida is regionally accredited by the Southern Association of Colleges and Schools , one of the seven most widely accepted institutional accredited bodies in the U.S. Accreditation from SACS provides assurance of the quality and integrity of UF’s academic programs. Additionally, it provides guidance for UF, and the other schools it accredits, on paths for continuous improvement. SACS accreditation not only ensures an institution has an appropriate mission and goals, but also has the resources to meet its goals and is assessing progress and outcomes toward its goals. It is important to note that accreditation from entities like SACS is not a one-time instance. Institutions are required to go through periodic reviews to maintain the designation. Business – The Association to Advance Collegiate Schools of Business (AACSB) is the international standard for business schools and all of the programs in the Warrington College of Business (undergraduate through doctorate) have met the standards for this rigorous and prestigious designation. This is an extra assurance for business majors that their UF Online degree is preparing them to stand out and succeed in today’s competitive business climate. Communication Sciences and Disorders – All programs in our College of Professional Health and Health Professions (PHHP) are accredited by the Council on Education for Public Health (CEPH) . In addition to certain jobs requiring a degree from a CEPH program, there are many fellowships with the same requirement. Additionally, the National Board of Public Health Examiners, the body for the national credentialing exam for individuals who possess a graduate-level degree in public health, offers the exam only to graduates of accredited programs and schools. Fire and Emergency Services (FES) – The M.E. Rinker, Sr. School of Construction Management at UF is accredited by the American Council for Construction Education (ACCE) . The ACCE accreditation is designed to assure students they will get better preparation for their careers, help employers identify quality workers and raise the caliber of the profession. Public Relations & Telecommunication Media & Society – The College of Journalism and Communications (CJC) has met all 9 program standards set forth by the Accrediting Council on Education in Journalism and Mass Communications (ACEJMC) to receive this prestigious designation. Diversity, curriculum, faculty quality, student resources and public service are a few of the areas examined by ACEJMC before granting its accreditation. More than 450 colleges and universities offer degrees and formal programs in this field and more than 1,000 institutions offer training in these fields also, and the UF CJC is one of only 118 programs to receive accreditation from ACEJMC. Nursing – All undergraduate programs in the UF School of Nursing, including the online RN to BSN program are accredited by the Commission on Collegiate Nursing Education (CCNE) . Programs that receive this accreditation have shown quality and excellence in four areas – mission & governance, institutional commitment, curriculum and effectiveness. For the Ready, Willing and Capable – Apply Today!